Cara, an honor student in her high school, was chosen as one of the first alien exchange students with L’eihr. They look human, but are a genetically engineered race, cloned to weed out imperfections, like greed, hate, humor and love. Before she goes to their planet, a L’eihr exchange student, a boy named Aelyx, is sent to Earth to live with her family and join her in her classes at school. At first, Cara is not thrilled with this idea, but after Aelyx’s arrival, and the horrible reception her classmates and town give him, she is determined to show him that humans can be warm, friendly and honorable, at the risk of alienating herself from her friends at school. Aelyx, growing up a clone, has never felt love, or affection, and at first is appalled at the emotions humans exhibit. After awhile, Cara breaks through his barriers, and sacrifices everything to do the right thing by him. I read this book the weekend of June, 12th when news of the horrible mass murders in Orlando were revealed. I couldn’t help but draw parallels to the bigotry and hatred I was reading about, with the information that was being sent out through the airwaves about why someone would kill innocent people in a nightclub. 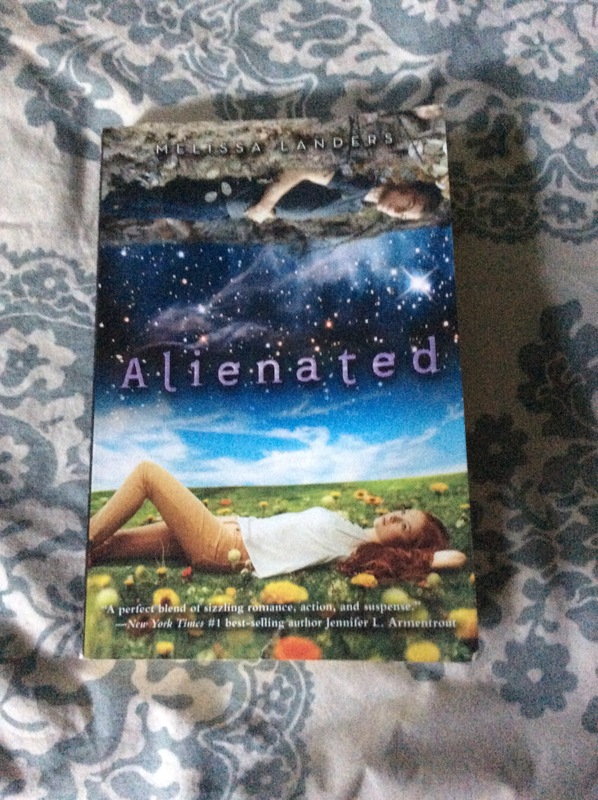 Yes, this book is a Young Adult fantasy romance, and was probably not meant to be taken as seriously as I did, but the message that Melissa Landers delivered was more poignant than perhaps it would have been had I read this book a week earlier. The United States in this imaginary world, was filled with hate groups, leaders spewing filth, and violence directed at innocents, just as I have seen in my real worlds recent political ads and the domestic terrorism we witnessed on TV this weekend. Whereas I don’t have an answer or a resolution on how to solve our real worlds problems, Melissa Landers seems determined, in this series, using this alien storyline, to work towards peace, resolve bigotry, and save a world. I admire the message, and wish that it was that easy in the real world. I have already checked out the second book in the series, Invaded, curious to read if Cara gets any better reception from the people on L’eihr. There are several books in this series, and hopefully, this author will find a solution that could provide a little hope, even if just in a fantasy world.